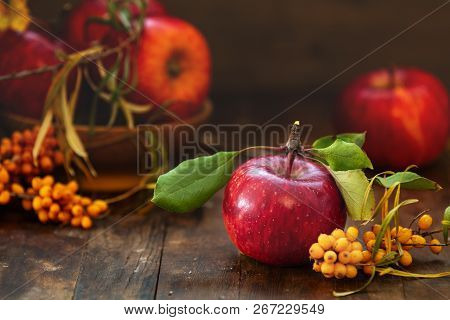 Autumn harvest red apples fruits and sea buckthorn berry on a dark wooden table background. Copy space. Dark rustic style. 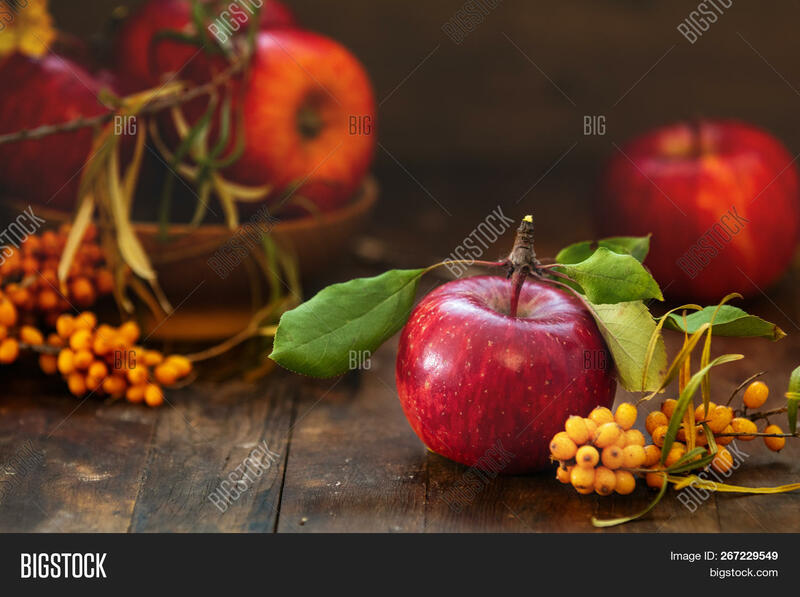 Natural remedy. Shallow depth of the field.